Are you debating whether or not you should attend the next self-storage conference and trade show in your area? Maybe you are a little nervous because there is so much to see and do. Where do you begin and what are you getting yourself into? 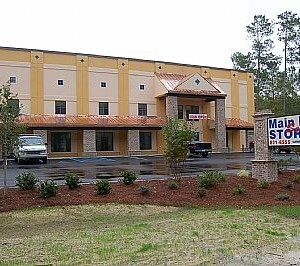 To help answer these questions and more, I asked U-Haul Self-Storage Affiliate, Jeanette Miller of Main Road Self Storage, to tell us about her experience attending her first self-storage conference and trade show. 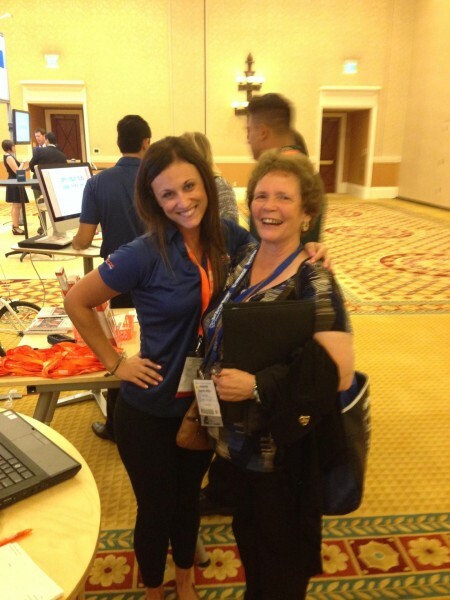 Andrea: Jeanette, thank you for taking the time to speak with me about your first conference and trade show visit! What advice can you offer to others visiting a conference and trade show so they can make the most out of the experience? Jeanette: For first-time attendees, make SURE you have a comfortable set of shoes for walking long distances. You’ll need comfortable shoes in order to make it to all the vendors and events you want to see. For all attendees, have a game plan for what you’ll do at the conference and trade show. It is important to know how to network with as many attendees and trainers as you possibly can. You’ll find others from your region, some with similar interests, some with interesting experiences, and many with knowledge that will benefit you. Find yourself a group to attach to (safety in numbers and all that) so you can get to know others in the industry. Andrea: Those are definitely great tips! What were the top three things you did to prepare for your trip? Jeanette: One of the first things I did to prepare for the trip was downloading the Self-Storage Association (SSA) Manual that was emailed to me. I ensured I was familiar with it before arriving at the conference. Secondly, I made a list of the vendors that I wanted to visit and learned as much as I could about them before arriving. Lastly, I went clothes shopping. Everything new, bright, clean and comfortable for my trip! Andrea: Researching what vendors are attending is a great way to be prepared with questions and topics to discuss. Also, as a girl who loves to shop, I agree that new clothes are a very important step in preparing for any trip! What was most useful during the conferences, roundtables and other presentations? Jeanette: Make sure to work hard during the conference, roundtables, and other presentations by taking notes. Remember to utilize and keep the handouts they give you for future reference. Don’t be shy and ask questions, even if you think you’re the only one who will benefit from it! I can pretty much guarantee someone else wanted to ask the same question but for some reason, they did not. Jeanette stopped by the U-Haul Self-Storage Affiliate Network booth and met our sales analyst Toni Colosso. Andrea: What expectations did you have for the conference and trade show? Did the event meet those expectations? Jeanette: Ryan Buck, owner of Main Road Self Storage, has been attending the Self-Storage Association Fall Conference and Trade Show in Las Vegas for the past ten years. As one of his senior managers and trainers he felt I could expand my knowledge of how other facilities coped with challenging situations, as well as how we might improve our day to day operations. I was very excited to get this opportunity as I knew I could learn a lot and that it would be very helpful. Also, unexpected things to come up during the trip so be ready for them, but don’t let them ruin the experience for you. Take everything as a learning experience. Andrea: It sounds like you have an open mind for learning. What seminars or roundtables did you attend and what interesting things did you learn? Jeanette: I attended many roundtables and ended up learning more than I had anticipated. Now I have an opportunity to implement several changes, based on what I learned to become an even more successful facility. During the “Tenant Insurance” roundtables I learned what tenant insurance is and how it actually helps the facility as much as the tenant. Another beneficial talk I attended was “Are you leaving too much money on the table each month?” and heard from other facilities and how they increase revenue annually. Andrea: Knowing about tenant insurance and how it protects the facility and the tenant is very important. It sounds like you did learn a lot during the conferences and roundtables. Jeanette: My favorite topic was “Celebrate Your Way to Success” where I learned how beneficial it can be to have events that will bring tenants and other local people to the facility. Holding events such as yard sales and holiday gatherings can generate involvement. Of course, these are quick highlights of all the knowledge I gained. It would take a booklet the size of well, the size of some of the ones I brought back with me to cover all that I learned and am still learning! Meeting with vendors is important during the trade show. Andrea: Is there anything you’d like to add to your first conference and trade show experience? Jeanette: Another highlight of my experience was the wonderful way the hotel fed us (the buffets were all delicious and included a wide variety of victuals to choose from). I enjoyed the breathtaking slideshows of conference scenery and events that were shown on large screens during the, “Welcome to Las Vegas” reception and I thank you for asking me to share my experience. Andrea: Jeanette, I appreciate the time you took to speak with me and thank you so much for sharing your experience! I sure hope you are now ready to register for your next trade show experience after hearing all the great benefits Jeanette encountered. For more information on getting the most out of your trade show experience check out our previous blog article, Get the Most Out of Your Next Trade Show. If you are interested in attending a conference and trade show near you, take some time to check out the calendar to see where and when then U-Haul Self-Storage Affiliate Network team will be visiting next. 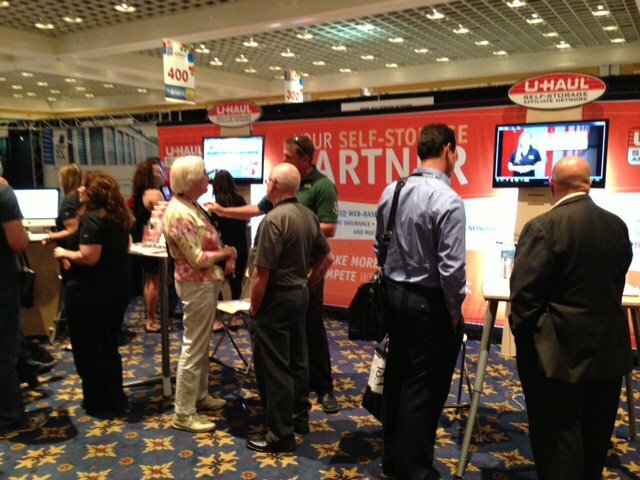 Do you have a conference and trade show story to share? Let us know by commenting below!